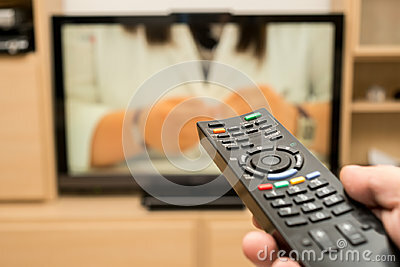 Watching TV and using black modern remote controller. Hand holding TV remote control with a television in the background. Shallow dof.